You're driving down the highway when you see a group of motorcycles growing larger in your rearview mirror. As they approach, you expect to hear their engines rumble. But instead, when they pass you, they barely make a sound. When it comes to electric technology, cars get most of the press. But the technology is also making motorcycles—and even snowmobiles—eco-friendly, speedy, and quiet. The buzz doesn't stop there. Home-improvement tools like lawn mowers, leaf blowers, and chain saws are also moving away from gas. And as electric boats and bicycles emerge, the green power trend is expanding at an impressive rate. 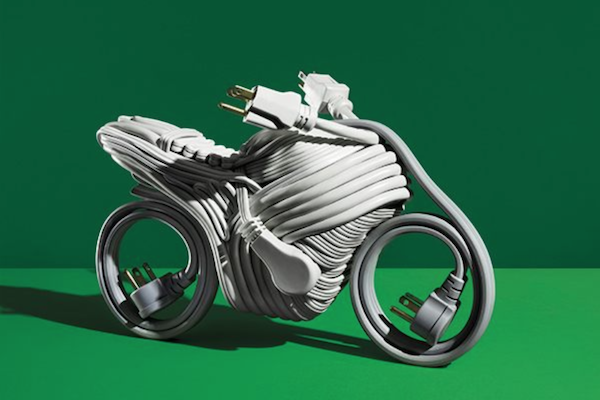 Electric-powered motorcycles are catching on especially fast. And while these new machines may have lost the deep, romantic rumble of their carburetor-equipped counterparts, the payoff for riders comes in cost efficiency, eco-friendliness, and—believe it or not—plenty of speed. Although this new bike carries a higher purchase price than its gas-powered brethren, it's far less expensive to operate, Ben Rich says. Rich is an electric-motorcycle journalist for Green Car Reports who has ridden an electric cycle across the country . . . twice. Estimates vary, but some say running an electric bike costs about one-tenth that of a conventional motorcycle, according to Rich, though you can still ride longer on a tank of gas than on a single charge. You'll also likely save a ton on maintenance and repairs, Rich says, since electric bikes have fewer moving parts. For example, there's no need for gears. With zero emissions, a green bike's cost to the earth is low. And they're quieter, of course. What about the time green bikes take to power up? Some models can recharge in less than an hour. Plus, engineers can design green bikes more efficiently than conventional cycles, allowing zippier travels. "Electric motorcycles have much better, low-end torque, meaning that going from zero to whatever speed, you'll get there faster," Rich explains. "It's an experience you must feel to believe!" Shopping around for motorcycle insurance? Get a free quote here.